The tiny, western Wisconsin city of La Crosse isn’t known for much, but for 22-years it’s been home to The Warehouse, one of America’s longest running all-ages music venues. 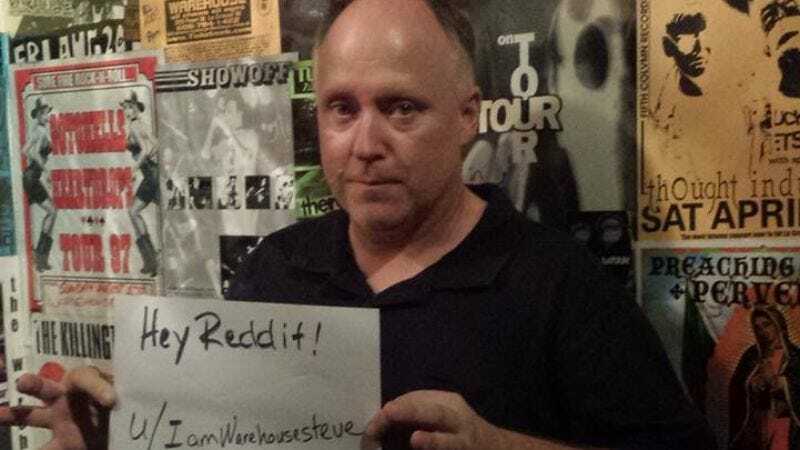 Currently, the venue is undergoing a campaign to keep its doors open, and with a week left to reach its $200,000 goal, club owner Steve Harm took to Reddit to do an AMA. While it could appear like a ploy to raise awareness for his Indiegogo campaign (which it kind of is), Harm seemed to revel in questions concerning mundane, day-to-day mechanics as any story dripping of rock lore. Though, when asked for anecdotes Harm was happy to indulge, offering up the tale of The Jesus Lizard’s David Yow, who, in an appropriately Yow-ian move, nearly scalped himself as he climbed a pillar toward a black-painted barn fan that was unknowingly above him. Lasting several hours—and featuring some fairly detailed responses—Harm addressed the mechanics of opening, running, and maintaining the Warehouse all these years. His ability to recall his blunders (passing on booking Blink-182 whose $300 guarantee was too high) with humility proves to be just as informative as his advice to those interested in taking on similar endeavors. Though the account of The Dead Milkmen attempting to woo female attendees by handing out roses post-show makes it just as worthwhile.